For more than ten years, TEI has been a low profile manufacturer of electronic products for some of the largest OEM's in America. The company was vertically integrated, starting with raw materials and manufacturing all the parts needed for the end product. 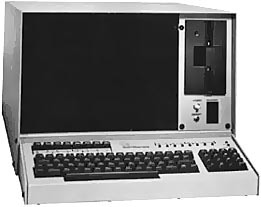 The Terminal Processor family also included some versions, called PT-208 and PT-408 with a special case that provided 5.25" floppy drives housing on both sides of the screen. The controller can handle 4 drives. see more TEI Terminal Processor Ebay auctions !